With its long stretches of pristine beaches, rain-forest hikes to majestic waterfalls, reefs and wrecks that teem with colorful sea life, unspoiled cruising waters, and nutmeg-scented air, the Caribbean island of Grenada is an attractive destination for boaters, divers, and other travelers. 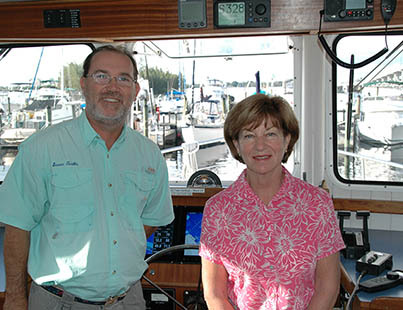 The many allures of the lovingly nicknamed “island of spice” made it a perfect destination for avid boaters and divers Debbie and Henry Dennig. “We were having a lovely trip, diving every day, and enjoying life,” said Henry when recounting the beginning of their vacation. Taking a break from their ocean adventures for an afternoon, the couple, along with Debbie’s son and his wife, decided to walk the leisurely garden path through Grenada’s rain forest to the local Annandale Falls. The day began smoothly, with the family observing the native fruit trees and flowers along the path, when suddenly they heard Debbie exclaim, “Oh no!” and looked back to observe her sitting in the gravel path and clutching her ankle. After the more physically intensive adventures they’d already been on, this serene stroll proved to be the most dangerous: Debbie had slipped and broken her leg. Debbie and Henry had heard good stories from friends who had used DAN’s insurance and medical resources in the past. They had one friend who ended up in a hospital in Key West, and DAN had answered his medical questions, organized transportation, and helped with paperwork. To the Dennigs, there was never any question of whether they should travel with DAN. This was the moment when they finally needed to activate their member benefits. After Debbie was admitted to the hospital, Henry got on the phone and called DAN’s emergency hotline. “Immediately, I had several people advising me on what to do. They took over and communicated with us throughout the next couple days,” said Henry. Because the incident occurred on day 11 of a 14-day trip, the Dennigs didn’t need to fly out early, but DAN arranged for Debbie to have two extra seats on the airplane so she could keep her leg straight and elevated. They also advised hospital personnel to cut Debbie’s cast to allow for expansion on the plane, made sure airport staff met Debbie with wheelchairs at every airport on the way home, and took care of the only expense not covered by her primary insurance — her crutches. 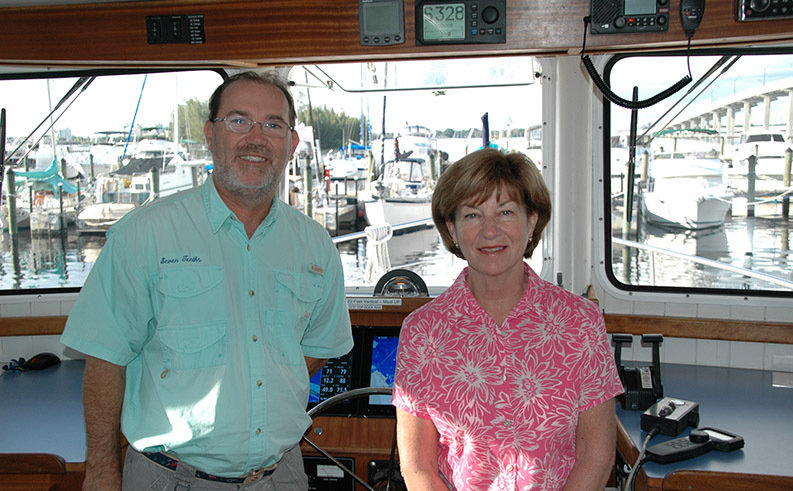 In fact, it’s stories like theirs that sparked the DAN Boater initiative in the first place; the non-diver membership base suggested to DAN that there was a need for a program catering specifically to boaters’ needs. So how is Debbie faring today? “Oh, my leg is fine. No residual,” she explains nonchalantly, ready and able to continue her world travels knowing that DAN’s got her covered.